This is a really pretty-looking remake of the first two Ys games, which were released aeons ago on a variety of platforms. Actually they were released as Ys Eternal (and Ys II Eternal) back in 1998 separately, and then Falcom went and made a super-special edition of them and put them in one package, which is the version you see here. The screenshot there is just for Ys I, which is as close to a title screen as you kids are going to get. Saying this is an “improvement” of the games’ many previous incarnations is like calling Dragon Quest IV for Playstation an “improvement”. Kids, this is seriously high-quality stuff, and the game expands upon the magical and wondrous land of Esteria in astounding detail. It’s a real shame this was never brought to the States, and even more of a shame that it costs about $98 to purchase. This is the Ys II patch. 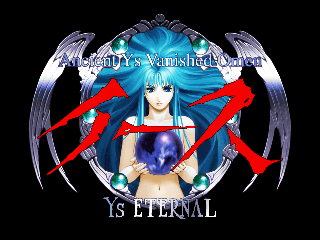 For the Ys I patch for the other half of the game, go to the RHDN Ys I Patch Page. After much tribulation, the patches for both games are complete. These patches will update your installation to the latest versions, and then patch the changed games. 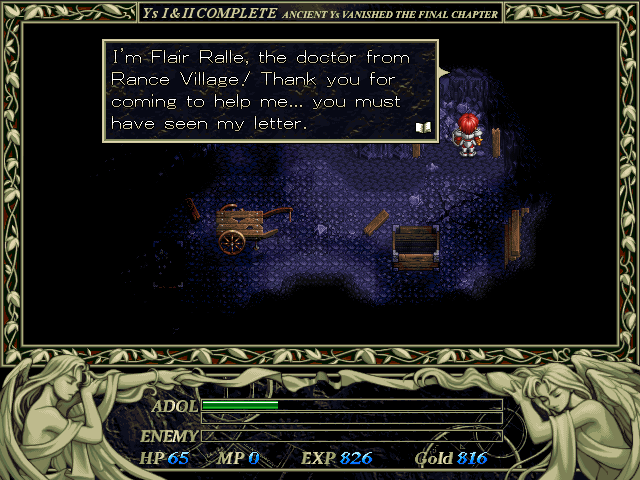 There are some optional downloads offered by the games, as well as an alternate soundtrack package offered by Deuce, the game’s scriptwriter and translator. Check the team’s website for more information. This patch will NOT WORK with Ys I + II Eternal. This is only for Ys I + II Complete, which was released some time after Eternal. Anyway! The text is incredibly well written, and as far as I could see there are no bugs whatsoever. There may be issues when you play the game and someone sends you an instant message through AIM or anything like that, so don’t be a dope like me and TURN THE PROGRAMS OFF. And make sure that you download the alternate soundtrack!